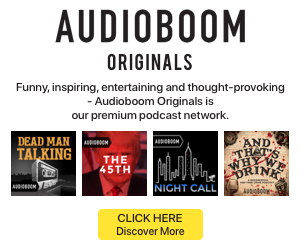 Edison Research has released a teaser for the next annual installment of its Share of Ear investigation into U.S. audio consumption. The company published a slide from its upcoming 2019 report tracing growth in Internet-delivered audio. This segment is defined in this study as pureplay audio from platforms such as Pandora or Spotify, online streams of radio stations, Sirius XM streams, podcasts, or music from YouTube. 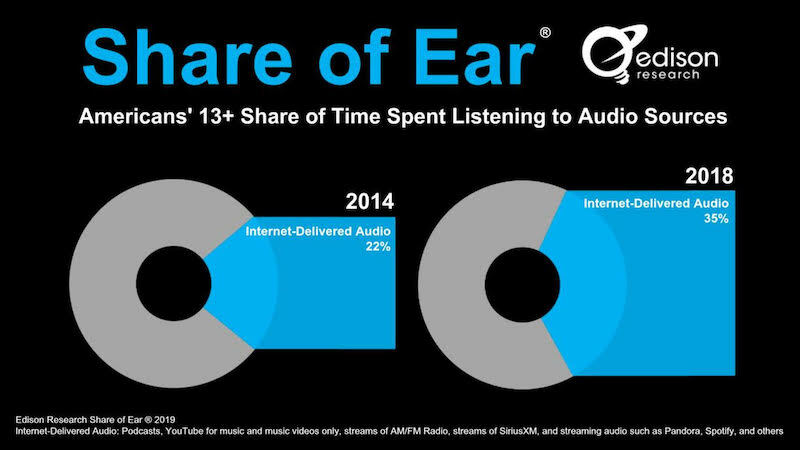 According to Share of Ear, American adults’ share of time spend listening to Internet-delivered audio rose from 22% in 2014 to 35% in 2018. That share has grown 59% over the past five years. “While the more established modes of audio delivery, such as broadcasting and listening to owned music, remain strong, with each update we show more audio is delivered through the internet. These trends are especially pronounced among young people,” Edison Research Director Laura Ivey said.